Kids Haircuts - Photos, Styling Tips & More! Parents, are your children dedicated followers of fashion? Do your kids haircuts have to be just right, which to them means cool and trendy? No worries – we will help you through the long and short of it. 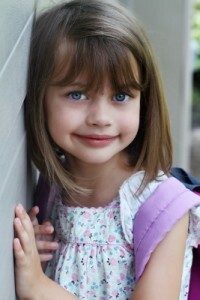 There are lots of trendy styles to suit all types of hair – for girls and boys. Most children’s styles mirror those of the stars they watch on TV and haircuts are no different. The most popular styles for girls and the easiest to manage and maintain are pixies and bob haircuts for those with short hair. Chin-length bobs with side parts are sweetly angelic and look great with either straight or wavy hair. Face-framing bobs with wide bangs are popular and are ideal for those with straight hair. A pixie hairstyle is ideal for girls with thin, fine hair. 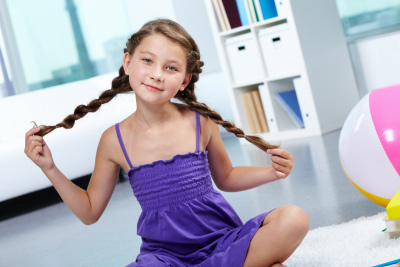 Ponytails, plaits and braids are always appropriate for little girls with long hair. Teen girls with long, straight hair might like to add small braids on one side of their hair for contrast and textural interest. A super-sleek style with a blunt cut is a sophisticated look for an older teen. Layers and highlights are also popular. Mohawks are beloved by boys of all ages. The style is adaptable to different hair lengths, and to a variety of hair textures. School guidelines may determine the extreme to which this style can be worn, and you may prefer to allow it only during the summer vacation. Your son could be allowed to wear a modified version of the style, called a fohawk. The hair is left short on the sides, and the top is kept just a bit longer and spiked or fanned out. Less extreme, it is more appropriate for school. Crew cuts and military haircuts are neat, classy and stylish. 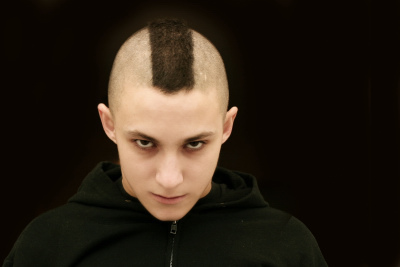 Older boys can make imaginative use of styling products such as hair gel to modify and personalize their crew cuts. As the hair grows, they can change the look. The buzz cut is popular for ethnic hair. 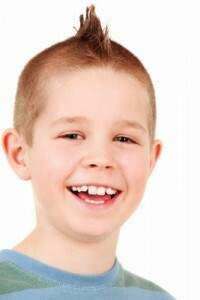 This cut can be simple or stylized, and a skilled barber can offer your son a number of style options. Some older boys like to grow their hair and have it braided or twisted. A hairstyle or haircut is an expression of one’s personality. It is always easier to get children to get their hair cut or styled if they have some say in the matter. As long as their choices do not violate school rules or risk their personal safety, give them some freedom of choice mom and dad – and save yourselves some headaches in the bargain. The great thing about kids hair is that regardless of how it’s cut it always grows back.